You don't have to read this if you don't like books. It's been a a year or so since I've visited you. And well over a year since I've written anything, so I thought I was due for an update. I don't think anyone reads this anyway, but I'm just gonna write for posterity. This year I started high school, and so far in my English class we've read The Alchemist by Paulo Coelho, The Good Earth by Pearl S. Buck, The Pearl by John Steinbeck, Animal Farm by George Orwell, and we just started Anthem by Ayn Rand. Out of my teachers selection of literature, I particularly enjoyed The Alchemist-I found it inspiring and filled with rich wisdom! The Good Earth didn't capture my attention. As much as I respect Buck's work, the book was not a page turner. I've admired John Steinbeck since I read Of Mice and Men a year ago. The Pearl was a similarly constructed novel with another subtle moral-I appreciate Steinbeck's storytelling. Animal Farm was interesting, it definitely introduced a colder, more cynical view on all governments. Now Anthem has got me hooked, I haven't quite figured it out yet; it's like nothing else I've ever read. So, I was sitting on a rock the other day pondering the purpose of life when a thought began prodding at my brain. What if the purpose of life is to ponder the purpose of life? Then I thought, that can't be the purpose of life because that would mean that I no longer have a purpose in life since I have rightfully discovered that the purpose of life is to ponder the purpose of life. But with my unwillingness to accept that the purpose of life is to ponder the purpose of life I continued pondering the purpose of life making it absolutely possible to be the actual purpose of life! Which brings me back to knowing that if it were the purpose of life, I would never be able to know. "Gettin on that midnight train to Oslo...Woo woo!" That is what I was singing this morning when we ever so graciously dragged ourselves out of our nice little bed and breakfast to the train station in Voss at midnight this morning/middle of the night. We got on our train to Oslo and I guess we were supposed to sleep, but that didn't turn out well for any of us. So now, here we are, on our third train of the day and moms asleep, the brother is uploding pictures with a tired face and dad is watching me write this. I think we're in Sweden, but who really knows for sure? ... There's really good chocolate on this train. It's milk chocolate with rasberries or something in it....it makes me happy. I think it's pretty cool--blogging from a train in a foreign country! That's a first for me! Tonight (on our fourth train) we get BEDS! Halleilughlia! This morning my family and I awoke at 4:30AM to beautiful downpour of rain in Portland! The catch: Rain turns against you when you have to run through it to get to the bus stop. But after about an hour everything was dry, including ourselves, and we were headed to Philadelphia Pennsylvania - A five hour plane ride that consisted of reading, playing on iPods, listening to music, involuntarily falling asleep, reading, and gazing out the window. Very thrilling. Anyway, that's where we are now and we've just eaten our...meal...not sure which one it is with the changing time zones. But rumor has it that we will be getting "dinner" on the next plane to (drumroll) ...NORWAY! That's right people of Earth and possibly Jupiter, the Holden-Hunkins family is headed to Europe this summer! Our trip will take part in France, Norway, Italy, Switzerland, Germany, and Denmark! This is only day one! And I'm already having a blast! I mean, what could be better than sitting in a plane for five hours so you can sit in a different plane for eight hours! (Sorry, I'm kind of milking the sarcasm) But I will keep you posted on this wild and crazy adventure! Ciao, folks! Come see Gigi at Camelot Theater! It's a great musical with a great cast! I just thought I would blog about my life right now, because I know you're just dying to know all about me! Just kidding. Anyway, I'm sick. Just a cold, I might be back to school by tomorrow even. 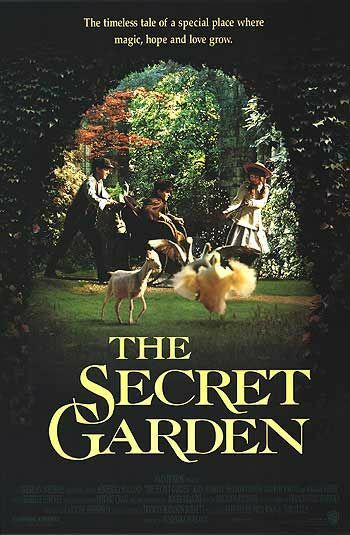 Rehearsals for Secret Garden start next week! And also I'm seeing Wicked on Sunday in San Fransisco! Woo Hoo! I can't wait! I got my cell phone a week ago, it's awesome. It's an LG Slider, Sprint. It's my first phone. I love it! Two days ago was the read through for Secret Garden, it was really fun. It's gonna be a great show! Oh yeah, and the reason why I have a giant photograph of a random person holding the earth is...well, actually there is no reason. If your an actor/actress, you might be interested in auditioning at the open auditions at Camelot Theater To get all the info, go to this link; http://www.camelottheatre.org/templates/System/details.asp?id=39503&PID=505558 Well that's all i have to say for now I think! Hope to see you at the auditions! Break A Leg! I recently got the lead role in Secret Garden at Camelot Theater! It will be my first proffesional theater performance ever (I've only been in two plays) But still... I'll post my performance dates as soon as rehearsals start! See? I told you I'd be fa mous!